The last five days have been... well, what day is it again? I scored some reclaimed oak from some barn wood. Spent most of yesterday planing it, and most of today squaring and gluing it up. I really hoped trim the whole thing out considering I had to call out sick the last couple days just to even receive and mill this lumber... but nothing goes according to plan. Anyway, despite the clock ticking and money running out-- the project is making progress. 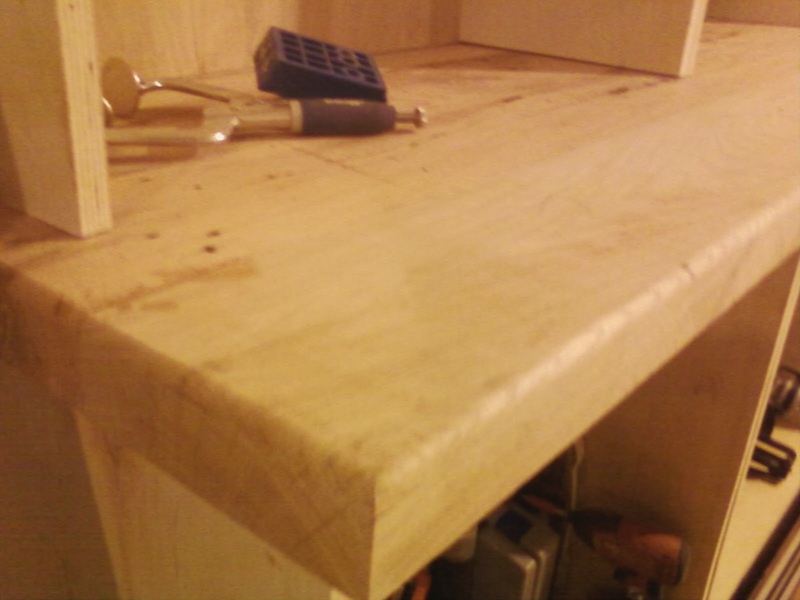 And with all the hand work I put into this thing (yes, I hand planed most of it to smooth out the seams of the glue-up), the counter looks pretty freakin good. flip phone: reclaimed oak counter top. 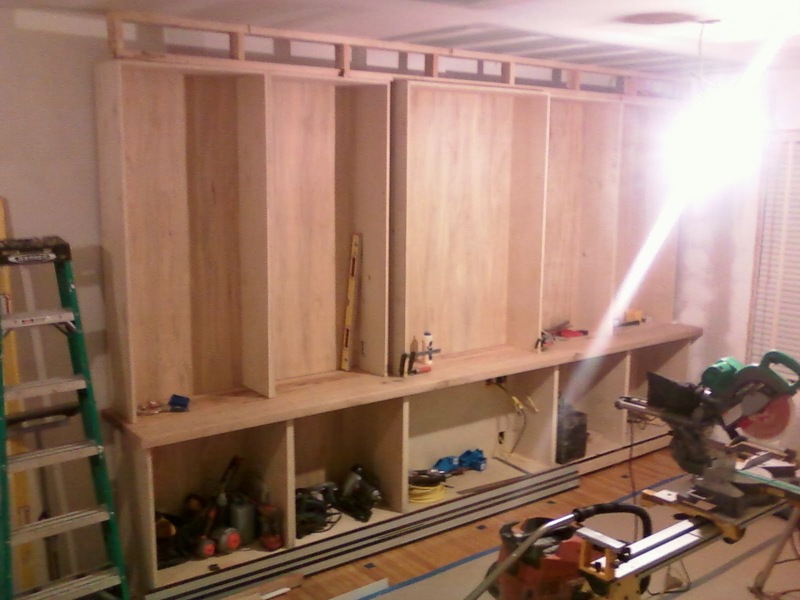 Built in: cabinets finally installed in final position. The good news is that this counter went in without a hitch. All that time I spent plumb/square/leveling this thing on Saturday did payoff today when lifting the final product in. Milling this oak was HARD. We worked four (4) 15' boards about 9" wide of 2 1/8"+ depth down to about 1 7/8". It may not sound like much, but with this old growth oak on a bench-top planer in 15 degree weather out on the sidewalk... it was an all day affair. These boards were about 150 lbs a piece. I'm sure my neighbors are psyched about ~20 contractor bags (in volume) of oak chips that are frozen to their sidewalk/snow drifts on my block. I tried to clean it up and do a good job, but I wasn't exactly anticipating the wood chips freezing to the ground. Live and learn. I'm sure the entire block hates my guts at this point in the renovation. I don't blame em. I should get back into doing this kind of work full time. I might actually know what I'm doing.